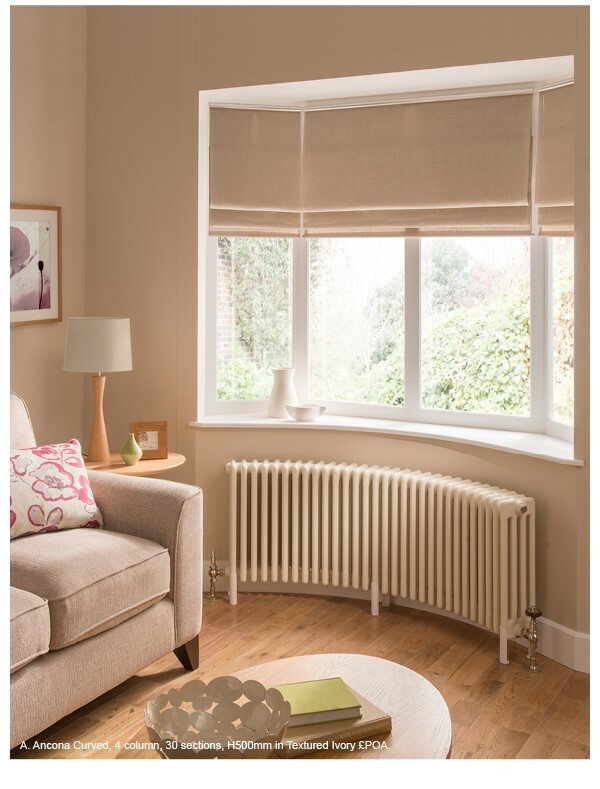 Leading heating experts, The Radiator Company, has updated their collection with the introduction of the new season’s traditional and contemporary designs. The new additions see curved profile and bigger heat outputs in Ancona® multicolumn and beautiful new high quality finishes including striking polished stainless steel and a clear lacquer gloss finish option that’s available on most Cast Iron models. Ancona® Curved is a new addition to the Ancona® range, which is made to order to fit the contours of a bay window or curved wall. The Ancona® collection sees new functional and aesthetic developments from an 8% increase in heat output to softer profile edges and 23 new colours, which now offers a palette of over 200 colours and special finishes. Adding a style statement to homes, new designer ranges include the new slim line Arrow radiator, which features a distinctive eye catching raised fascia, also available as a towel rail design. Inferno is a new eco design featuring a low water content created by the use of Dual Tube Technology, which gives the 40mm tubes a powerful output, complementing its unique design. Samara is a lightweight aluminium design with soft flowing lines and also features low water content for improved running costs.